The Caviar & Oyster Palette is the centerpiece of the collection and came from Bobbi’s seeing a black motorcycle jacket juxtaposed with a piece of delicate pink satin. Thus, the Caviar & Oyster Palette features shades of shimmering pink, rich caviar and pearlescent silver. 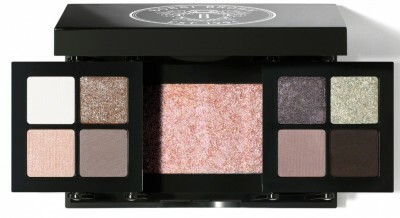 The palette includes eight shadows in various shades and textures, $75. New Limited Edition Shimmer Nail Polish in Black Pearl is the ultimate in tough luxe! I love dark grey/black shades–this will be a must-have for me, $18. Bobbi’s new Limited Edition Dual-Ended Mascara is meant to be layered. As makeup artists have known forever, in order to get maximum impact eyes, you need to layer mascaras. This one features Everything Mascara for definition and Lash Glamour Extreme Lengthening Mascara for length. Available in Black, $24. The Caviar & Oyster Collection features new Limited Edition lippies in a variety of textures and finishes, including Lip Gloss (Pink Pearl, Black Pearl), Brightening Lip Gloss (Moonlight Pearl, White) and High Shimmer Lip Gloss (Oyster), $23. 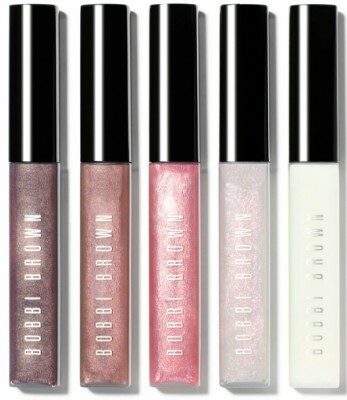 The Bobbi Brown Caviar & Oyster Collection is available at Bobbi Brown Counters and online at Nordstrom.com , Sephora.com and BobbiBrown.com . 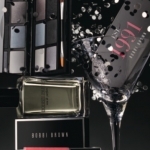 Bobbi Brown Holiday Palette Collection 2011: One for you…one for me!